Is privatization the right way forward for Alaska Psychiatric Institute? According to the old saying, history repeats itself twice: first as tragedy, second as farce. It’s hard to say at this point how many times the history of Alaska Psychiatric Institute has repeated itself, but instead of entering farcical territory, it seems that the tragedy of Alaska’s broken mental health services only grows deeper with each new raft of evidence showing the state hasn’t yet found solutions to the problems that have plagued its system. Most recently, federal officials assessing API in the second half of 2018 found more than 80 “substantial deficiencies,” far more than at any other facility, each of which resulted in “immediate jeopardy” to patient safety. Failures relating to patient and staff safety have become a common theme at API. The institute, built with an 80-bed capacity, has struggled to maintain safe staffing levels that allow for even a fraction of that many patients. API’s problems have long been a subject of frustration for the state. There have been leadership and policy changes, but the institute — the largest inpatient mental health care facility in the state, and the flagship of a system that itself has struggled mightily during the past two decades — has seen little improvement. Gov. Mike Dunleavy and his administration, seeking better solutions to the mess they inherited, are using emergency powers to privatize management of API for the next few months. It’s an understandable impulse given the facility’s struggles under state management and the governor’s strong preference for private sector solutions over government ones where practical. The logical first step is to stabilize the crisis before it worsens, and good for the administration for doing that. The next and most important step will be to find a long-term solution. Some members of the mental health community point to studies that have warned privatization isn’t the long-term solution Alaska needs. A 2017 study by Public Consulting Group, for instance, found that if API were privatized, “the additional staff reductions needed for budget neutrality would likely diminish the quality of service delivery," and maintaining the quality of service would be more expensive under private management than the status quo. The study did find that privatizing a few functions at the facility would make sense, but wouldn’t substantially diminish API’s costs or guarantee better care. Alaska’s history also provides cautionary tales about potential pitfalls of privatization: In territorial days, Alaska’s mentally ill were shipped Outside to Morningside Hospital in Portland. 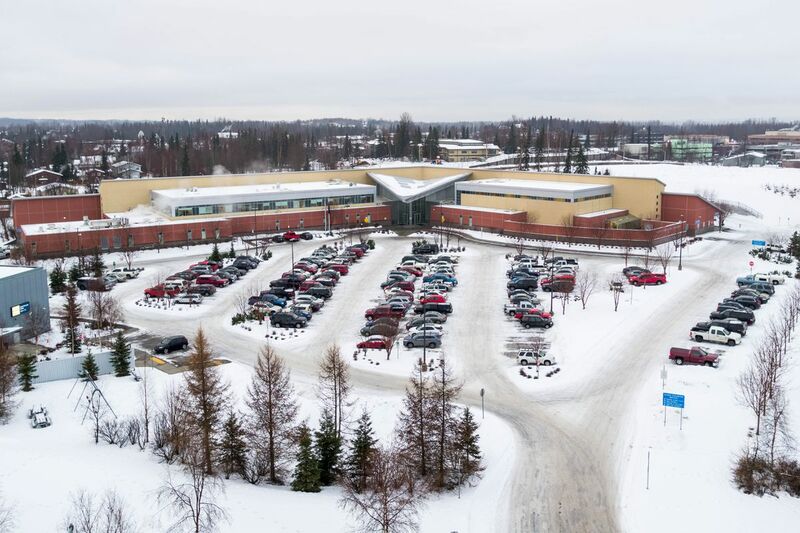 In addition to the trauma incurred by shipping Alaskans with mental health issues far from their families, care standards at Morningside were reportedly poor and there was rampant financial abuse by the family that ran the hospital. Gov. Dunleavy is right that Alaska’s mental health services are in crisis. The status quo is endangering the health and safety of Alaska’s mentally ill and the staff who care for them, as well as creating a tremendous web of expensive secondary problems that hurt service providers and communities statewide. But just as the pitfalls of API’s management to this point have become all too apparent, Gov. Dunleavy, the Legislature and the public should keep a keen eye on the facility under private management. The state’s history and issues with other facilities managed by contractor Wellpath’s parent corporation have shown that although private management can work, it’s not likely to do so unless we hold it accountable. Privatization has worked for some states and institutions; it has worked poorly for others. The Legislature should watch closely during the next few months to see whether Wellpath’s management plan leads to better, safer care. And whether the state stays with private management or returns to a public model when that initial period is over, the main focus should be on the quality of care Alaska offers, not the reduced budgets that exacerbated problems during the past several years. The costs of effective mental health services pale in comparison to the external costs of our failing system, in which patients, staff and communities bear the burden of insufficient options for care. “We may define a disorder as any personal construction which is used repeatedly in spite of consistent invalidation,” George A. Kelly wrote in his 1955 book “The Psychology of Personal Constructs.” More simply put: The definition of insanity is doing the same thing over and over and expecting different results. Gov. Dunleavy and his administration have recognized the depth of the crisis at API, and are charting a different course for it. Now it’s up to lawmakers and community members to watch closely and make sure the next chapter in Alaska’s mental health saga isn’t another in the litany of failures that have plagued the system so far.